TENAFLY, N.J. – The World Boxing Organization (WBO) Super Middleweight title eliminator, featuring two-time world title challenger Robin Krasniqi taking on the three-time, two-division world champion “King” Artur Abraham, will be available to watch April 22 on pay per view in North America, starting at 2 p.m. ET/ 11 a.m. a.m. PT, live from Congress Center in Ekfurt, Germany. The two fighters have a combined record or 91-9 with 47 knockouts. “Krasniqi vs. Abraham”, promoted by SES Promotions, is a presentation of Integrated Sports Media and FITE. Born in Kosovo, the 29-year-old Krasniqi (46-4, 17 KOs) is a former European and WBO International Light Heavyweight Champion, who resides in Munich, Germany and packs a thunderous punch. Three fights ago, he moved down in weight from Light Heavyweight to Super Middleweight, winning all three bouts at the new weight class and looking highly impressive. In 2013, Krasniqi lost his first world title shot by way of a 12-round unanimous decision to defending WBO Light Heavyweight World Champion Nathan Cleverly (25-0), in London, by way of a hard-fought 12-round decision. Following his first career defeat, Krasniqi went on to capture the WBO International Light Heavyweight Title with a seventh-round knockout of previously undefeated Emmanuel Danso (20-0), and has since defended that belt. Krasniqi won the vacant World Boxing Association (WBA) Continental Light Heavyweight Title with a 12-round unanimous decision over Oleksandr Cherviak (14-3-1). In 2014, Krasniqi successfully defended those two championships, taking a 12-round unanimous decision from Dariusz Sek (21-1-1), which set up his second world title shot, March 21, 2015 in Germany, against long-time defending WBA Light Heavyweight World Champion Juergan Braehmer (45-2) in a massive all-German world title showdown. Krasniqi was unable to answer the bell for the 10th round but learned that he should drop a weight class. Since moving down to Super Middleweight, Krasniqi has looked impressive but Abraham will surely be the biggest test of his career. Rated No. 2 by the WBO, Abraham (45-5, 30 KOs) has positioned himself for another world title shot as the winner of his Apr. 22nd eliminator with Krasniqi will become the mandatory challenger for reigning WBO Super Middleweight World Champion Gilberto Ramirez, of Mexico. Abraham lost his WBO crown by way a 12-round unanimous decision to Ramirez in Las Vegas in 2016 but must win against Krasniqi to have an opportunity at regaining his title. The 37-year-old Abraham, a native of Armenia who lives in Berlin, Germany, is a two-time WBO (World Boxing Organization) Super Middleweight Champion, as well as the former International Boxing Federation (IBF) Middleweight World Champion. The knockout artist has a remarkable 18-4 (9 KOs) record in world championship bouts and is 7-4 (4 KOs) against former or current world champions. 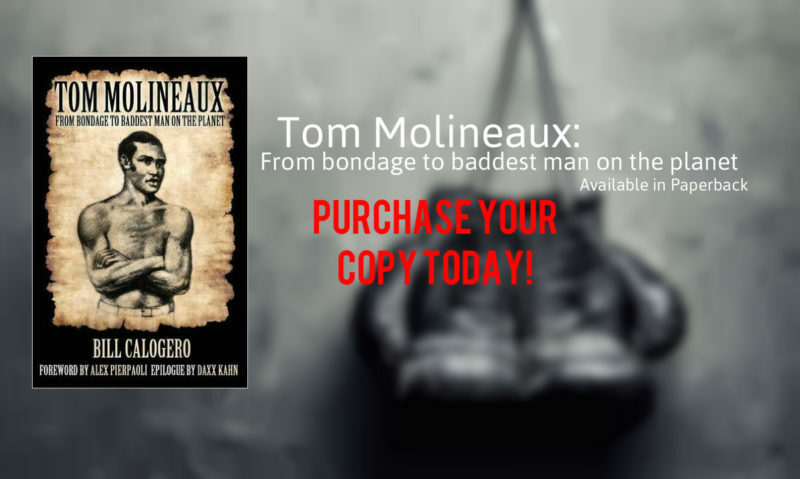 Noted victims during his 16-½ year professional career reads like a Who’s Who of Boxing in the 160 and 168-pound divisions, including world champions Raul Marquez, Hector Javier Velazco, Jermain Taylor, Robert Stieglitz thrice, and Giovanni De Carolis. Abraham has also defeated world-class opponents such as Martin Murray, Paul Smith twice, Lajuan Simon, Edison Miranda twice. Khoren Gevor, Sebastian Demers, Kofi Jantuah, Kingsley Ikeke and Howard Eastman. Four of Abraham’s five career losses have been to world champions Carl Froch, Andre Ward, Robert Stieglitz and Gilberto Ramirez. Stieglitz is the only opponent to stop Abraham, who has won nine of his last 10 fights, the most recent an eighth-round technical knockout of Tim Robin Lihaug (15-1) this past July in Germany for the vacant WBO International Super Middleweight Title. Now that sanction has officially been granted, the next fight for red-hot undefeated super middleweight David “El Bandera Roja” Benavidez will be an eliminator for the #2 mandatory challenger spot in the WBC’s world rankings against highly regarded contender Rogelio “Porky” Medina, of Sonora, Mexico. WBC #1-rated Callum Smith and WBC #2-rated Anthony Dirrell will fight for the vacant 168 WBC Championship (tentatively scheduled for May), the winner of that fight must then face undefeated WBC #3 contender, Avni Yildirim, from Turkey. The champion at the end of those two fights will be mandated to face the winner of the Benavidez vs. Medina eliminator. For Benavidez (17-0, 16 KOs), who served as chief sparring partner for middleweight champion Gennady Golovkin’s recent preparations to face Danny Jacobs, news of the fight with Medina is a welcome development. Considered a boxing prodigy by many, the 20-year-old Benavidez, who turned professional at age 16, is the brother of former interim WBA World Super Lightweight Jose Benavidez, and has been trained since age two by his father Jose Benavidez Sr. Date and site for the fight are being negotiated. Thousand Palms, California – Undefeated welterweight prospect Custio Clayton has been added to a tremendous night of boxing on Saturday, April 15th at the Cornwall Civic Complex in Cornwall, Ontario, when he takes on Alfredo Chavez in the eight-round co-feature bout. Chavez of Mexico has a record of 12-8 with 10 knockouts. The dangerous Chavez has some quality wins on his resume as he holds victories over Johnny Navarrete (10-0-1), Manolis Plaitis (15-0-1), Rodolfo Ezequiel Martinez (40-7-1), and Alejandro Chavez (5-1). The 31 year-old Chavez is looking to get back in the win column after dropping two straight to undefeated fighters. In his last bout, Chavez was stopped by Jamie Munguia on October 22nd in Tijuana, Mexico. LOS ANGELES — Undefeated World Boxing Organization (WBO) world champions ÓSCAR VALDEZ, GILBERTO “Zurdo” RAMÍREZ and JESSIE MAGDALENO will headline an exciting world championship event in separate title defenses, Saturday, April 22, under the stars at StubHub Center in Carson, Calif. Produced and distributed live by Top Rank Pay-Per-View, the telecast will also feature the pro debut of U.S. Olympic silver medalist SHAKUR STEVENSON, in a six-round featherweight bout. The live pay-per-view telecast will begin at 9 p.m. ET / 6 p.m. PT. and will be available on all conventional platforms, including all major cable and satellite systems, as well as Top Rank’s digital distribution via www.TopRank.tv and mobile devices. Valdez (22-0, 19 KOs), from Nogales, México, will be making the second defense of his WBO featherweight title against No. 1 contender and NABO champion Miguel “Escorpión” Marriaga (25-1, 21 KOs), from Arjona, Colombia; Ramírez (34-0, 24 KOs), from Mazatlán, México, will be making his first defense of the WBO super middleweight title against Top-10 contender Max “Tiger” Bursak (33-4-1, 15 KOs), of Kiev, Ukraine; Magdaleno (24-0, 17 KOs) of Las Vegas, Nev., will be making the first defense of his WBO junior featherweight title against WBO Latino champion Adeilson “Dell” Dos Santos (18-2, 14 KOs), of São Paulo, Brasil, and Stevenson, the crown jewel of the 2016 U.S. Olympic team and the pride of Newark, NJ, will be making his eagerly-awaited professional debut in a four-round featherweight bout. The six world championship warriors have a combined record of 156-7-1 for a winning percentage of 95% with a victory by knockout ratio of 71%. Valdez (22-0, 19 KOs), from Nogales, México, and who represented México in the 2008 and 2012 Olympics, was the first Méxican fighter to qualify for two Olympic games. He is considered one of the bright lights of the featherweight division and a new face for boxing’s next generation. He will be making the second defense of the vacant world title he won on July 23, 2016 via a second-round knockout of undefeated No. 2 rated Matías Rueda. Rueda entered that fight having won his previous 10 bouts by stoppage. Valdez, 26, started 2016 with a fourth-round knockout victory over former International Boxing Federation (IBF) featherweight champion Evgeny Gradovich on the April 9 Pacquiao – Tim Bradley III pay-per-view undercard in Las Vegas. It was the first time Gradovich had ever been stopped in his 24-bout professional career. In his last fight, on November 5, he successfully defended the title with a seventh-round TKO of No. 1 contender Hiroshige Osawa. Marriaga (25-1, 21 KOs), from Arjona, Colombia, enters this fight having won 15 of his previous 19 fights by way of knockout . The only blemish on his record, a 12-round unanimous decision loss to former World Boxing Association (WBA) featherweight champion Nicholas “Axe Man” Walters in 2015, who had lost the title on the scale when he weighed in over the division weight limit. Since that loss, Marriaga, 30, has fashioned a five-bout winning streak, including NABO featherweight title knockout victories in his last two fights against Guy Robb and Eduardo Montoya last year to become the WBO’s No. 1 contender and mandatory challenger. Ramírez (34-0, 24 KOs), a two-fisted super middleweight wrecking machine who hails from Mazatlán, México, made history in the co-main event to the Manny Pacquiao vs. Timothy Bradley welterweight pay-per-view on April 9, 2016, when he became México’s first fighter to win a super middleweight world title. Entering the fight as the top world-rated contender, Ramirez gave a virtuoso performance over the defending WBO champion Arthur Abraham. All three judges scored it as a 120-108 blitzkrieg. “I took him to Méxican boxing school,” a jubilant Ramírez boasted as he put on the world championship belt . A sensational young champion, Ramírez, 25, had been scheduled to make his first title defense last July, but a training camp injury to his right hand followed by surgery and rest sidelined him for the remainder of the year. He returns to the ring having won four of his last eight bouts by knockout. Career-highlight performances include an NABF and NABO title victory over Giovanni Lorenzo via fifth-round stoppage, a WBO International title knockout victory over Junior Talipeau and a successful defense of his NABF and WBO International titles, stopping Fulgencio Zuniga in the eighth round, all in 2014. In 2015, he successfully defended his titles via unanimous decisions over once-beaten Maxim Vlasov, division gate keeper Derek Edwards, who boasts a KO victory over world champion Badou Jack, and once-beaten Gevorg Khatchikian, who had scored knockouts in five of his last six victories. Bursak (33-4-1, 15 KOs), from Kiev, Ukraine, will be making his U.S. debut. A former European middleweight champion and one-time WBO interim middleweight world title challenger, Bursak, 32, enters this fight having scored three of his last four victories by way of knockout and is world-rated No. 10 by the WBO. Magdaleno (24-0, 17 KOs), from Las Vegas, NV, enters his first title defense having won eight of his last 11 bouts by knockout. The former U.S. Amateur Champion has crafted a sterling professional ring record since making his professional debut on November 6, 2010. The younger brother of lightweight contender Diego Magdaleno, Jessie, 25, parlayed his No. 1 ranking into a mandatory challenge of defending WBO junior featherweight champion and five-division world titlist Nonito “Filipino Flash” Donaire on November 15, 2016, winning a very close and action-packed 12-round unanimous decision. Dos Santos (18-2, 14 KOs), from São Paolo, Brasil, has won five of his last six fights by stoppage. He captured the WBO Latino featherweight title on September 17, 2016, knocking out Deivis Perez in the seventh round. Dos Santos, 25 who has also held the WBO Latino junior featherweight title, will be making his U.S. debut on this card. Stevenson, 19, from Newark, NJ,, sailed though every stage of his Olympic competition in Rio De Janeiro last summer before losing a close split decision in the bantamweight championship fight to 2012 flyweight Olympic gold medalist Robeisy Ramirez of Cuba. Ramirez swept the judges’ scorecards in round one with Stevenson returning the favor in round two. In the third and final round, the closest of the three rounds, two of the three judges gave the round to Ramirez and the gold medal, by the slimmest of margins. It was the best finish for an American male boxer since Andre Ward captured the gold medal in the Athens Games of 2004. Ward is now part of Stevenson’s management team along with James Prince and attorney Josh Dubin. The only boxer to make Forbes “30 Under 30” in its Sports category, Stevenson was selected by a panel of judges comprised of James Harden, shooting guard for the Houston Rockets, Phil Knight, Chairman Emeritus of Nike and Casey Wasserman, Chairman and CEO of the Wasserman Group. The oldest of nine children, Stevenson, who is named for the late rap star Tupac Shakur, was introduced to boxing by his grandfather, Willie “Wali” Moses, at age 5. Now based in northern Virginia, Stevenson is trained by Kay Koroma. New York – Joe DeGuardia’s Star Boxing® returns to The Mohegan Sun Arena on Thursday, May 11th with another action packed lineup of professional boxing. Headlining the card will be perennial contender and local favorite Delvin Rodriguez (28-8-4, 16KO’s) Danbury, CT taking on spoiler Courtney Pennington (10-4-1 5KO’s) Brooklyn, NY in a 10 round Jr. Middleweight match up. Pennington earned the right to fight Rodriguez by securing two huge back to back upset victories over highly regarded favorites. Rodriguez is no stranger to Mohegan Sun having fought there as recently as last July (23rd) when he battled Shawn Cameron over the 10 round distance and came away with the unanimous decision in a thrilling fight. Delvin has fought many elite fighters in his career including Miguel Cotto, Erislandy Lara, and Austin Trout and is hoping for one more shot at glory. This will be Delvin’s 8th appearance at the Mohegan Sun Arena. Courtney Pennington is coming off 2 impressive upset victories, both on the road, knocking out Boyd Melson (15-2, 1KO’s) and winning a clear-cut decision victory over Khiary Gray Pitts (14-2, 11KO’s) in his last fight on Feb. 4th of this year. Pennington is an all action fighter and he knows a win over Delvin Rodriguez will have a huge impact on his career. NEW YORK – Argentinian slugger Lucas “La Maquina” Matthysse (37-4, 34 KOs) makes his highly anticipated return taking on Emmanuel “Tranzformer” Taylor (20-4, 14 KOs) on the televised undercard of Canelo Álvarez vs. Julio César Chávez, Jr. mega-fight on Cinco De Mayo weekend. The event will take place Saturday, May 6 at T-Mobile Arena in Las Vegas and will be produced and distributed live by HBO Pay-Per-View beginning at 9:00 p.m. ET/6:00 p.m PT. The fan-friendly Matthysee, who has engaged in multiple fight of the year candidates, will move up to welterweight for the first time and look to make a run at championship gold. Matthysse has defeated a who’s who of contenders during his career including Lamont “Havoc” Peterson, John Molina, Jr., Humberto “La Zorrita” Soto and Ruslan “The Siberian Rocky” Provodnikov. In Taylor, Matthysse will face a resurgent contender coming off back-to-back knockouts and who has gone toe-to-toe with the likes of Adrien “The Problem” Broner, Chris Algieri and Karim “Hard Hitta” Mayfield, defeating the latter by unanimous decision. The Billy C Show Now on FiteTV! 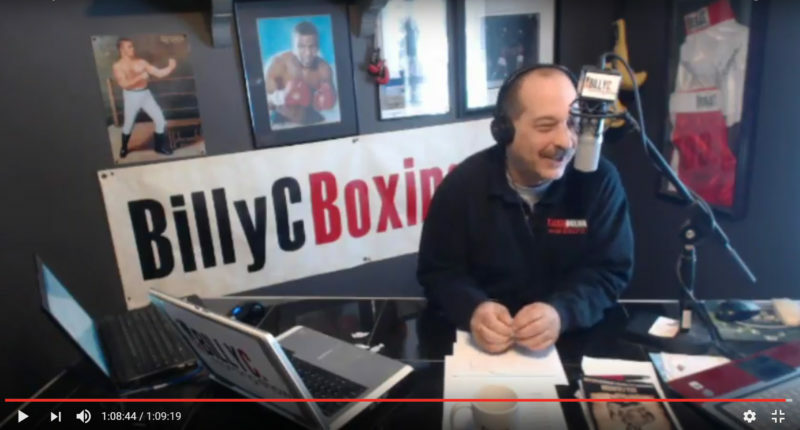 The Billy C Morning Show broadcast LIVE Monday-Friday from 7-9am on http://WWW.BillyCBoxing.com and our YouTube Channel https://www.youtube.com/user/TalkinBoxing. Is now on FITE TV!! FITE TV is the Go-To App for Boxing Fans and Practitioners. 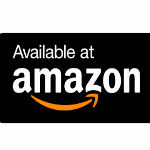 Available at The App Store and Google Play. Get FITE TV Watch The Billy C Morning Show with all it’s regular contributors- Daxx Khan, Alex Pierpaoli, Larry Hazzard, Sal Cenicola and of course the Mustache Man himself Billy C.
FITE TV IS WHERE TO GO FOR ALL THE BOXING, MMA AND WRESTLING EVENTS AND NEWS! !